Grosvenor Casino Luton has recently undergone a renovation programme, providing you with a stylish new arena where you can enjoy the thrill of gaming plus delicious food too! 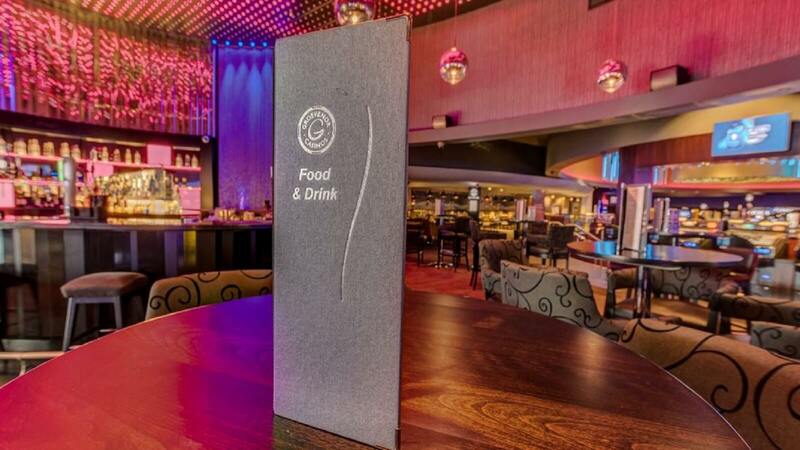 Grosvenor Casinos’ restaurants offer an array of contemporary and delectable dishes and drinks, all served in a relaxed and welcoming environment. Whether full meals such as our delicious mushrooms, goats cheese, spinach and roasted cherry tomatoes stone-baked pizza or small plates such as slow-cooked tender pork ribs, there is something for everyone. Whether you win or lose at the Blackjack table, the restaurant is always a winner! Not Available On The Experience Packages.